Nvidia has been working behind the scenes on Q2VKPT with creator Christoph Schied to build Quake II RTX: a cutting-edge reimagining of the old school classic. While Schied has been working on a ray-traced version of Quake II for some time, and doing a grand job of it too, Nvidia has lent its expertise to bring the classic shooter into 2019 and utilise all that ray tracing has to offer. A lot has changed with Quake II RTX coming from the Q2VKPT release back in January. Nvidia’s engineers, intent on spreading the good word of RTX, have set about building on the work already set out by its ex-Nvidia Research Intern Schied. 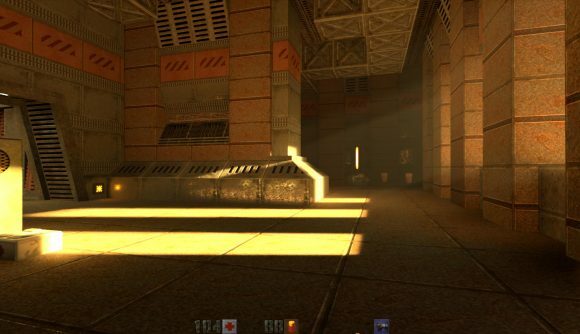 As a result, Quake II RTX now includes: real-time sunlight and time of day lighting, reflective surfaces, refraction on water, laser effects, SLI support, high-detail texture packs, Nvidia Flow, and much more. While ray tracing has been previously stuck behind Microsoft’s DirectX 12 API, the Vulkan API is also conducive to a little ray traced action, too. Built upon the Vulkan API, Quake II RTX features a purely ray traced lighting system. All lighting, reflections, shadows, and effects utilise the “holy grail of computer graphics”, and Nvidia has opted for its own Nvidia VKRay extension to add complete ray tracing support down at the API level. Ever since modders and developers have been weapons free to reuse and modify its code – even for their own gain. Q2PT, the precursor to Quake II RTX, was first released in 2016 thanks to this license. However, it had a grainy appearance due to its path tracing implementation. To solve this problem, Schied, reportedly during his time as an Nvidia intern, introduced a new approach to reduce graininess by merging the results of multiple game frames. The result: Q2VKPT. Nvidia subsequently built on that denoised version to create Quake II RTX, which it then presented at GDC 2019. “It all started about 20 years ago,” Nvidia CEO Jen-Hsun Huang says. “For the very first time hardware 3D acceleration was possible thanks to a game named Quake, which used OpenGL for the very first time. If it weren’t for Quake, Nvidia wouldn’t be here today. Every company needs a bit of a killer app. In our case it was the video game industry, and the one that kicked it into high gear was Quake. Nvidia’s engineers are planning on wrapping up their work over the next month. 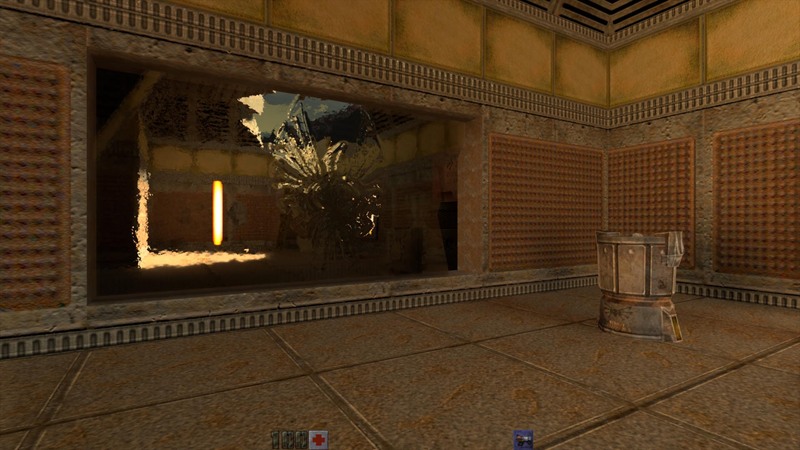 Once completed – in keeping with the original license distributed all those years ago – Quake II RTX will be published open source. No strings attached.